RETURNING WEDNESDAY from three nights on the road, it dawned on me that it’s that time of year. It hadn’t seemed so obvious when we departed Sunday morning. That time is the season shift, which is pretty stark here on the mountaintop. The rains have gone — we may still get a surprise, but it doesn’t matter — and I need to water yard plants, a chore. I have no warm spot in my heart for chores. And the hour changes next weekend in a good direction. I can never keep it straight which is correct, and which is man-made. 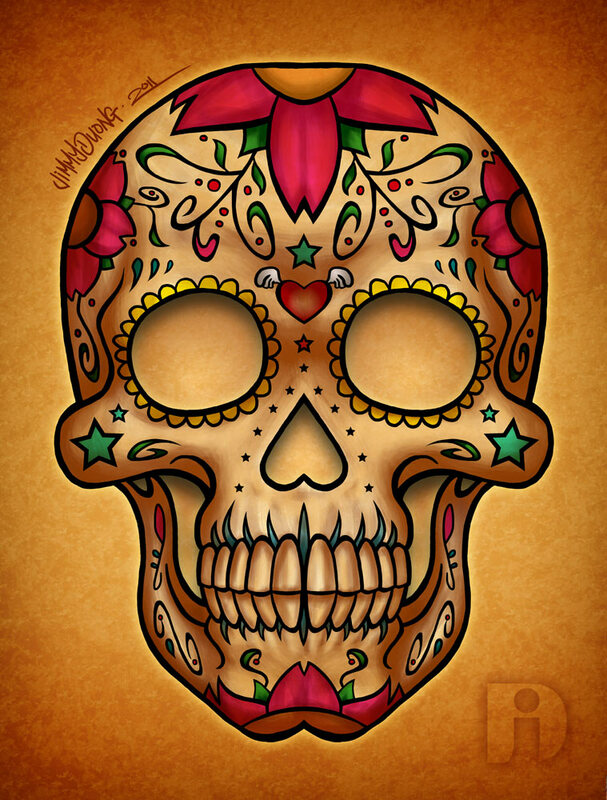 The end of Rains from On High comes almost always with the arrival of the Day of the Dead. Perhaps there is some celestial connection. As some passers-by know, my mountaintop is one of Mexico’s hot spots for the Day of the Dead. After so many years here, I’ve grown a bit weary of it, jaded, mostly due to the tons of tourists. After 18 years in New Orleans, long ago, I had also grown weary of Mardi Gras, another massive tourist draw. But it’s good for the economy, and I love capitalism so very much. It gives one the opportunity to be a One-Percenter, something communism does not do and socialism discourages. Even though I am not a One-Percenter, I want that path open for me, for everyone. So get in your car and drive up here. Bring cash for hotels, tacos, sugar skulls and souvenirs. The enormous tree-lined plaza will be full of art, some quite stunning, lovely and affordable. On the Big Night, head out to one of the cemeteries to marvel at the candles, the marigolds, the old women in rebozos, the men with tequila, lime and salt, the babies crawling about. The spirit guests. Some of the cemeteries have surrendered to tourism. Others haven’t yet. Your task is the find the latter, avoid the former. Yes, we just returned from three nights away. We had planned for months to spend this week at Palenque, down in the Maya area of Chiapas. But at the last moment, we just did not want to. So we got into the Honda and drove four hours to Mazamitla in the State of Jalisco, just south of Lake Chapala. Mazamitla is a mountain town that puts on airs of being Alpine. Lots of wood and A-frames. A Mexican Twin Peaks without the weirdos. We spent two nights in the Hotel Huerta Real, and decided Tuesday morning to drive the short distance north of Lake Chapala to spend a night in Ajijic, a place absolutely crawling with Gringos, mostly of the geriatric variety. We slept at the Hotel Casa Blanca. There are two famous places in Mexico where Gringos love to gather. San Miguel de Allende is one, and Ajijic is another. I’ve spent many nights in San Miguel, but this was only my second in Ajijic. 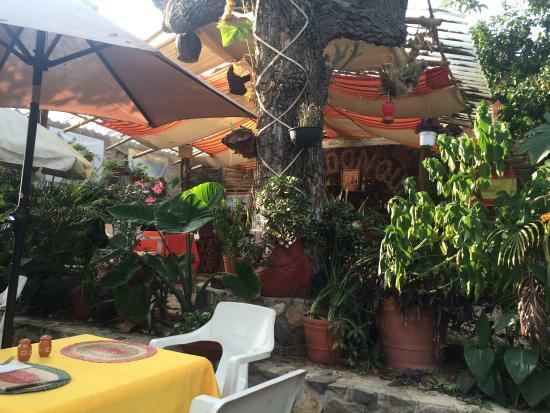 The best reason to go to one of these Gringo havens is the abundance of good restaurants. In Ajijic we discovered the Meson Don Quijote, which is run by an actual Spanish gentleman. I am a fan of paella, which is a Spanish dish, not Mexican as some less-swift people sometimes think. My second ex-wife and I ate superlative paella often at a Spanish restaurant in Houston. Since moving over the Rio Bravo almost 16 years ago, I’ve encountered paella occasionally on menus. I have ordered it three or four times, and it’s always been disappointing. Mexicans cannot cook paella. But there we were, standing in the lovely patio of the Meson Don Quijote talking to the Spaniard owner, when I saw paella on the menu. I decided to risk it once again. Call me crazy. It was very good paella. Not quite what the Spanish joint in Houston served, but it easily merited four stars out of five. While conversing of food, let us back up a bit, to Mazamitla where I had a culinary religious experience at a place called La Troje. The religious experience manifested itself in salmon. Yes, fish. We had lunch at La Troje both days. The first day, by pure luck, I ordered that salmon and, Good Lord Almighty, that was some fine salmon. If you ever find yourself at La Troje, know there are two styles of salmon on the menu. One is called Mediterranean, which is what I ordered. The other is called something else. I do not remember. And we’re home again. The salmon is gone, and so is Twin Peaks. Gringo-crowded Ajijic, which sounds like a spice, likely won’t be visited for another decade. And I may never eat paella again. A tip of the sombrero to Bonnie and Bill Garrison who pointed me toward Mazamitla, the Hotel Huerta Real and La Troje restaurant. Mazamitla. I went there with family from Guadalajara some sixty years ago. I don’t remember what time of year we were there, but I remember being cold during the day, and absolutely freezing at night under tons of blankets. We stayed in a rental … maybe the AirBnB of the day. Cobblestone streets and lots of pine trees. I also learned this is where one went for the very best of panella cheeses. We spent our honeymoon in Chapala, coming up for air now and again and going to Ajijic as we drove around the lake (took a lot longer than we thought). No paella for us. Getting away is good. And what fun to change plans at the last minute. Angeline: If you went there with family 60 years ago, you must have been extremely young. And yes, it gets cold there. It’s a few inches higher in altitude than here where I live. It was cold our first night and less so the second night. And it’s only October. January and February would be much worse, of course. Lots of pines, yes, and cheese too. Mazamitla is known for cheese. I don’t know how much fun it was to change plans at the last minute. We did lose what we paid for the nonrefundable plane tickets. We could have paid a little more to kick the tickets down the road, but I had already done that once because we initially were heading to Palenque last April. We have no plans to fly anywhere at the moment, so I just let the tickets go. Such is life. I too am on the road, five days in on my sojourn to Mexico. The states of Washington, Oregon, Idaho, Utah, Nevada and Arizona have passed under the wheels of my trusty, two-wheeled steed. No fancy foods have been consumed. There’s not much choice on the backroads of middle America. This part of the world seems to be content with Burger King, Jack in the Box, Carls Junior and such. I look for Mom and Pop shops, simple food, but good. Weather has been good, some hail and rain in southern Utah. The rain I could deal with. The hail hurt some, but this old face has withstood worse. Coming to you from Kingman, Arizona, next stop, Tucson, then into Mexico. It feels good to be alive. Bob: Good thing you did not take off earlier, or you would be in a tropical storm, perhaps hurricane, down there on the Mexican coast. With luck, it will have died before you arrive. Keep the front wheel to the right of the center line. Don’t get dreamy, and arrive safely. Don Cuevas: You and I both know you’re not kidding. Weenies and pineapple chunks are required ingredients in about everything down here. It’s so sad. You guys are exposing the dark, tawdry secrets of Mexican home cooking. And pizza is mainly a platform for condiments, such as Worcestersire Sauce, Mexican catsup, and, God help us, mayonnaise. But to those who enjoy it that way, they are not sad, but ¡feliz! Don Cuevas: It is sad that anybody at all enjoys it that way. Well, anyone over the age of 7. I once had pizza at a place in the hills above the capital of Honduras. The place had a wood-fired stove as well as artisan cheese and fresh tomatoes. They ruined my pizza by adding canned corn. Really??? With all of the elote and atole stands in the area, I think we could pass on the niblets. But noooooo. Laurie: Just one more example of the often-wacky Latino lifestyle. You just have to roll your eyeballs and wonder. CannedCorn is a resort city on the Caribbean side of the Yucatan Peninsula. 😉 It’s a traditional Mayan vegetable since at least 1979. Seriously, we may have some canned corn kernels siding our pork chops today. Sigh. It was just such an ironic moment as the stalls selling roasted corn were yards away. Why not use the fresh stuff if one would actually want corn on pizza anyway? Oh well. Laurie: Part of the loony Latino lifestyle. Surely, you remember. Felipe: If you ever make it back to Mazamitla, look us up. Our little town of San Jose de Gracia is just a short five-mile drive from there. Hot dang almighty, Jeff! I did not make that connection. I remember looking up your town on a map some while back, but that was before I was even thinking of visiting Mazamitla. And the chances of our ever going back to Mazamitla are slim to none. Guess you’ll have to visit here. Jeff: My wife tells me we drove right through San Jose de Gracia. I’m guessing you drove thru on your way to Mazamitla. Jeff, how far are you from Manzanilla de la Paz? Hi Bonnie: About a 20-mile (maybe 1/2 hour) drive. The older I get the more I chagrined I seem to get at this time of the year, more so than other times when the hordes of tourists take the parking spaces, seats at restaurants and become gaggles of oxygen-breathing lookie-loos. I know it is good for the local economy, so this year our Honda will transport us to either Mazatlán, Guadalajara or somewhere in between. Flying around is difficult for us since we have our two kids (dogs), which enjoy changed surroundings also. As a change we may take the back road back from GDL, just depending on what the co-pilot says. We are always looking for some rustic, (but not too rustic) place where we can take off for a few days of spa-like treatments. The wife absolutely enjoys them, and I don’t mind a good back rub now and then also. Tancho: For me, the traffic problems are almost offset by the stuff on sale on the big plaza. I often buy stuff, and I like it. We’ve never really considered going out of town. Rather do that on Mardi Gras when my neighborhood goes absolutely bonkers. The plaza grande may not have vendors this year if the new mayor gets his way. Patzman: First I’ve heard of this. I’m assuming that he wants to put the vendors elsewhere, not eliminate them. If that is the case, I may be on his side, depending. Tancho, I have never been to this Hotel-Spa El Chanté, near Jocotepec, Jalisco, but it looks very attractive. Especially if cost is no problem and if you enjoy having your body covered and rubbed with various food substances (Kahlúa bath, perhaps?) by attractive masseuses. Don Cuevas: Attractive masseuses are always a positive step. I seldom attend Mardi Gras. My father rode in parades in a small town near New Orleans. I marched in the band, too, in enough Mardi Gras processions to last a lifetime. However, I did enjoy the Krewe of Barkus last year as well as parade of mini-floats in Mid-City. Laurie: I had to look up the Krewe of Barkus. It did not exist in my day. As for your attending Mardi Gras in New Orleans, it’s no place for a church lady! Judging by Google Streetview, Mazamitla looks a lot like Pátzcuaro. And I didn’t see any A-frames. Or yodelers. As for paella, I think we can add it to the rather long list of foreign foods that are disappointing in Mexico. Every time I come back to Boston, I am reminded about how blessed we are NOB for the sheer variety of excellent foreign food. Where we lunched in a surprisingly authentic Mexican joint, complete with real Mexicans and a very Mexican paint job. Kim: We’re about the same in population and altitude. And there’s the same red/white color scheme downtown. However, Mazamitla definitely embraces the Alpine personality. It’s more apparent on the outskirts of town. As for food, yes, cuisines are far more varied in the U.S. than down here. Most of Mexico remains quite provincial in many aspects. No matter. Our many advantages and pluses are found in other areas. It looks like there are more trees in Pátzcuaro, though. Kim: Quite the contrary. You’re just thinking of the trees on our plaza, I believe. Mazamitla is greener, more trees by far. Felipe: Could you share your costs for meals in both Mazamitla & Ajijiic with us? Tratamos de hablar español, bueno o malo, todos los días. Jeff: We ate lunch both days in Mazamitla at La Troje, and we ordered the same thing. It was a bit under 300 pesos for the two of us. Gotta keep in mind that La Troje is a place that aims for the high-end tourist crowd from Guadalajara. And we do not order alcohol nor multiple dishes. We’re not foodies. Breakfast both days were in restaurants on the plaza. That was about 130 pesos for both of us both days. The Spanish place in Ajijic was about 250 pesos for the two of us. The paella was amazingly reasonably priced at 100 pesos each, and it was so much paella that we took about a quarter to go, which we polished off that evening in the Casa Blanca hotel room, which has a kitchenette. You really ought to go try the salmon Mediterranean at the La Troje since you are so close. Thanks for the info, Felipe. We are planning on a trip in the near future. We’re thinking about flying from Guadalajara to Los Mochis and taking the Chepe Railroad trip through Copper Canyon up to Chihuahua. Are you familiar with this trip? Jeff: I took that trip with my last wife sometime in the mid-1980s. It was great. Back then the train was just a regular passenger train. Now they have specially equipped tourist trains — European-made, I believe — with observation cars. And all manner of organized tours. We had planned to simply travel from Los Mochis to Chihuahua, but when we got to the stop — I forget the name of it — that’s right on the canyon’s edge — there’s a hotel there — we asked the conductor if we could get off and catch the same train the following day to continue to Chihuahua, he said yes, so we did. The hotel was almost empty. There was one other group, a family of four, and that was it. Our room opened onto a pathway, and if you walked straight out the door about three feet you came to the canyon’s rim. There was nothing there to keep you from walking over the edge but a low, wooden fence that was almost falling over due to lack of maintenance. What I remember most was the utter darkness at night, and the silence. The hotel had almost no exterior lights. I’m sure it’s far more gussied up now, but I would recommend it. Quite a trip. I’ve heard similar descriptions of the hotel in Barrances. Does that sound familiar? I think we will board the train at Los Mochis and get off at Barrances for a couple of days and then go back to Los Mochis. I’ve seen a few videos of the trip and from Chihuahua to Creel scenery looks like a train ride through the Texas Hill country and isn’t really appealing to us. Thanks for the feedback, amigo. You stirred my memories, Jeff, and sent me Googling. Yes, that is the name, but the spelling is a bit off. It’s Barrancas. Copper Canyon in español is Barrancas del Cobre. Here’s a photo of the hotel we stayed in. We were in the log part on the near side. It looks like they improved the fence that keeps you from plunging to your death. I believe that is El Divisadero Hotel. I have always wanted to take this trip, but my wife has some very unhappy memories of Mexican train travel. This is one of I think two of the remaining passenger trains in Mexico. Passenger service was discontinued when every thing was sold to Ferromax. Sad, because I have fond memories of train travel with my kids. Señor Gill: Yes, El Divisadero Hotel. I should have mentioned that. As for passenger trains in Mexico, I do not think there are any at all remaining that are strictly passenger trains. The Copper Canyon trip, and a few others in the country, are tourist deals, not really for travel in the traditional sense.